What is the keystone to mental health in the workplace? 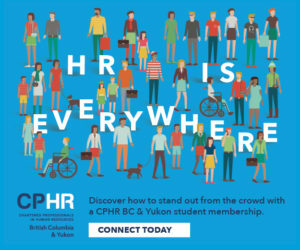 Marli Penner, CPHR is an HR advisor at Northwest Community College in Terrace, BC. 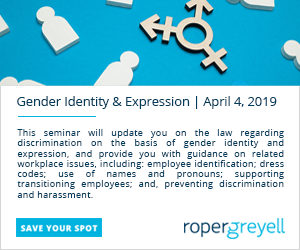 The primary areas of her role are employee benefits, disability management, wellness, and occupational health and safety. Working in post-secondary aligns with Marli’s commitment to lifelong learning with her desire to expand her knowledge to keep up with the rapidly changing HR environment. 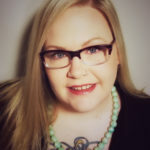 A board member for the Tamitik Status of Women, Marli is a new member of the Northern Advisory Council for CPHR BC & Yukon. Awareness of the signs and symptoms of mental health conditions are critical for all members of a workplace: for managers to recognize these in their direct reports, for peers to recognize signs in their colleagues, and for employees as individuals to recognize the signs within themselves. 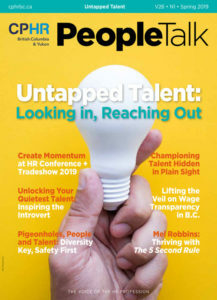 Being able to recognize these indicators enables employees to address mental health needs and seek out the support required, whether it be through an employee assistance program, an appointment with their physician or a meeting with their manager to address work-related issues that may be causing them stress. Going hand-in-hand with awareness is the responsibility we all hold to support each other. As an HR professional, it is critical to be approachable and offer your employees someone to talk to confidentially when they need an outlet or advice—15 minutes of your time can go a long way. 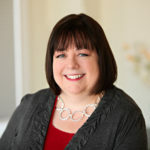 Katie Gilson is an HR advisor for Challenge Disability Resource Group. 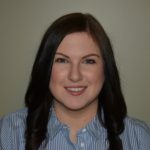 Prior to moving to the Great White North, Katie worked in training and development and recruitment at Sears Holdings Inc. and PetSmart in the US. Katie is happy to have found a home at Challenge DRG that combines her passion for people and training with a platform for issues that she believes in such as mental health in the workplace and inclusive hiring practices. When the question of mental health is raised in the workplace our instinct is to say that positive mental health begins with “open communication.” While a culture of open communication is important, addressing mental health in the workplace starts with awareness. Preventative awareness and knowledge about mental health will empower employees to identify triggers, find solutions and highlight strengths. Leaders need a high-quality awareness of what positive mental health looks like and how to spot potential problems. All employees can benefit from training on how to respond effectively when they notice a change in thinking, mood or behaviour or when someone discloses an issue. When we make psychological health and safety a priority we start to remove the stigmas associated with mental health. Removing these barriers will hopefully allow an employee who is struggling to feel safe enough to be able to say “I’m not ok” thus opening the door for open, honest communication. Sharlaina Bain, BBA, Dip. 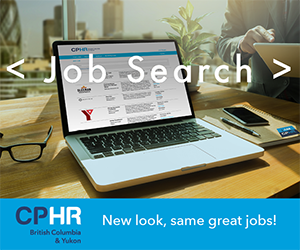 HR, CPHR candidate is an HR consultant for the Yukon Government with a passion for corporate culture, employee performance and aboriginal development. She believes qualified HR helps to establish an inspired, productive and sustainable workforce by guiding management in succession planning, attracting, retaining and developing talent. Her ultimate goal is to assist organizations achieve their employment goals through the provision of great leadership, engagement and motivation for staff. Peter Drucker famously declared, “Culture eats strategy for breakfast” and the same holds true when addressing mental health in the workplace. Fostering an environment where employees feel safe to discuss or disclose mental health struggles creates a culture where inclusion, engagement, and employee retention reign supreme. Focusing efforts and communication on the development of an atmosphere that de-stigmatizes mental health struggles will help foster a supportive and positive work space, enabling employees to function in a positive and productive way. Further, celebrating employee contributions, rather than fixating on societally- prescribed stigmas, will also encourage staff to seek help and promote recovery from mental health issues. 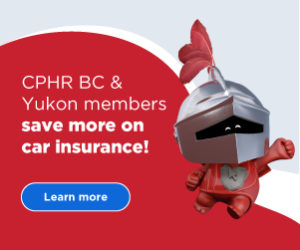 With increased attention to wellness and reports that one in three Canadians will experience some problem with mental health in their lifetime (Mental Health Commission of Canada), responsible organizations can no longer ignore the necessity of creating a culture of trust and support for their employees. 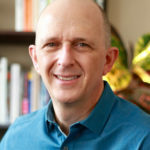 Gregg Taylor, MA, CPHR is a workplace mental health expert with over 25 years in executive leadership, training and clinical counselling. He holds an MA in Counselling Psychology and is a proud to hold the CPHR designation. Gregg and his team at FSEAP provide services that result in healthy, resilient employees and positive, productive workplaces, providing counselling & work-life services for employees and their families, and evidence-based wellness practices for the workplace. 3. Positive leadership practices whereby senior leadership not only supports, but champions workplace mental health as a key company priority, and managers and supervisors are given the tools, time and training to learn and practice skills that empower employees and promote engagement, performance and wellness. To be successful, these efforts must be accompanied by genuine care and concern shown by leaders, practiced by managers and experienced by employees. 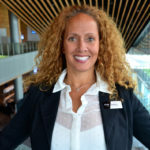 Denise Lloyd, MA, FCPHR is the founder and chief engagement officer (CEO) of Engaged HR, a Victoria-based human resources consulting firm that works with organizations across Canada to create great places to work. Denise is a leader who brings new ideas and innovation to the way HR contributes to an organization, and her solution-focused approach creates happy, healthy workplaces where employees experience fulfilling work and employers are proud of the environment they create. There is no silver bullet that ensures our mental health in the workplace. While many factors have been attributed to good mental health such as open communication with your boss, flexible time off policies or having friends at work, our mental health, just like our physical health, is something that requires daily care and attention and looks different for each of us. For some, it may be about having the ability to work from home for some quiet, focused time while for others it may be about having a lot of variety in their work assignments and work relationships. Each of us has our own way of taking care of ourselves and the keystone may just be for the workplace to make sure that we are empowered and encouraged to take an individualized approach and do what works for us.